Men with round faces need to have a distinct haircut to add more definition to their face. Round faces typically have a softer appearance around the jaw and cheekbones, so it is necessary for men with round faces to ensure their faces have more definition and elongate their face. 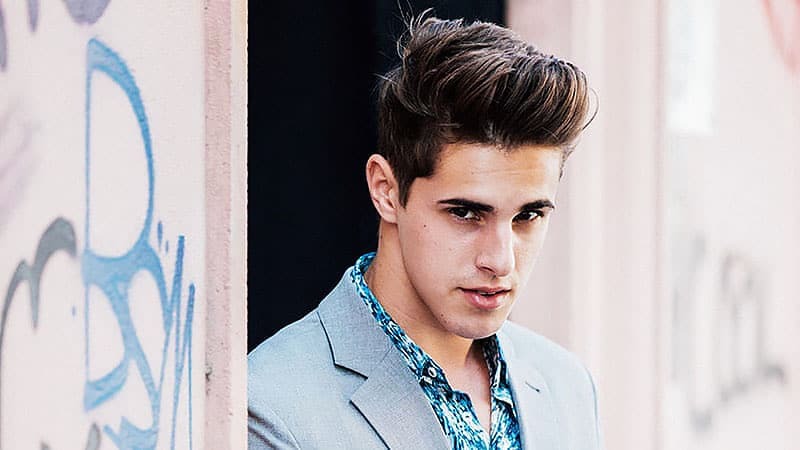 Here are ten hairstyles for men with round faces that are currently popular right now. 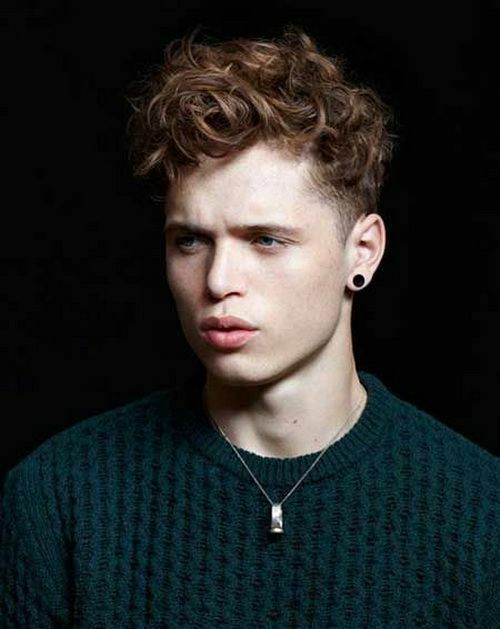 The wavy hairstyles for men allow the face to have more dimension around it. The texture of the waves makes the face have more shape. This style is particularly good for those who have a completely circular face and need something to offset the roundness to their face. Keep the hair loosely tousled on the top and the sides short. Make sure to not allow your waves to get out of control on the sides though, as they will not look complementary to your rounded face. The issue with round faces is typically that they need dimension added to the face. A side parted hair style will help to add dimension and shaping to a rounder faced. A side part naturally brings eyes up and to the side. This draws the eyes away from wide cheekbones of a rounder shaped face. This makes the face appear longer than how it looks without any volume. Putting a side part into any men’s hairstyle always helps to make a round face seem less rounded off. A pompadour will make those with a round face have a longer appearing face. A classic or modern pompadour naturally makes the face look more elongated. The pompadour is currently highly stylish right now. More style savvy men have been wearing this hair style of late. Men with round faces should embrace this trend openly, as it is so flattering to their facial structures. The style requires a few inches of length on the top of the head and short length sides. Keep the sides short or carefully slicked back otherwise you risk creating more width to your wider face. All that is necessary for the pompadour style is for the men to blow dry his hair straight back and comb it while he blow dries it. The next part of the style requires a pomade product. Work a dime size amount of the product into your hair. Comb the product straight back. Lightly push the top part of your hair forward with your hand. This will create the pompadour shape. Spray it with a holding spray so it will last throughout the day without much management. An undercut with its short sides, side part, and volume on top also gives an effective look for those with round faces. It is somewhat similar to the effect that a pompadour hairstyle achieves for those with a rounder face. The short sides and slicked back top of an undercut is why this particular style is well suited for those with a round face. When you have medium or longer length hair, you can do a slicked back look to frame your face. You have to ensure to keep the sides pushed back though so as not to add too much width to your face. 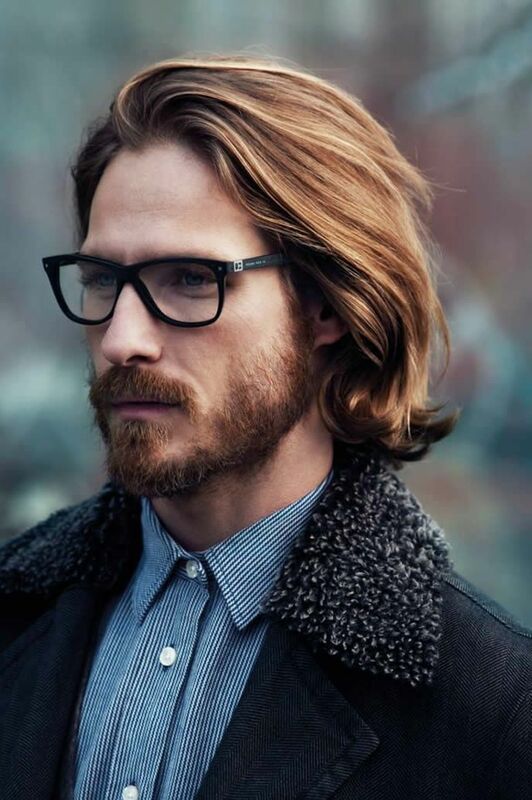 Locks with a flow are a very popular look for men who rock the man bun or a beard too with their style. Cropped short hair won’t look right for a man with a round face if he keeps his hair flat and short. This will only make the face appear even more rounded off. Adding some texture to the top of a cropped hair style will add some length to the face. Ensure to use a little style product and keep the top length slightly choppy when you have a round face and a cropped style. The full volume of a blowout style will give a rounded face more dimension. Blow-dry the hair upward and back. Add some pomade and spray the style with an extra hold hair spray. This allows for unique look, and plenty of volume. If you like slicked back hair, you may be frustrated that you have a round face. You can still do the slicked back style though. Just slick back your hair and push it forward slightly to give the top a bit of volume. Keep both sides of your hair smoothed back tightly or have the sides razor cut short. Dreadlocks are a tried and true look for men with round faces. They give much needed volume and definition to a man’s face. Short dreadlocks in various styles are very popular right now for men’s hairstyles. Shorter dreadlocks are perfect for men with round faces. Side bangs are similar to how a side part in the hair works for someone with a round face. It gives some angle to the facial structure of a round face to add side bangs to a style. The style is sometimes not quite as good as a side part because if the hair and the bangs are kept too flat it will not look well with a round face. It’s important to make sure to use some product to volume the bangs and that the top of the hair is adequately voluminous or textured to allow for the face to have more length created. Try both the side bangs or a side part to realize if it will give your face some definition. Any of these hairstyles should help to complement a round face shape for a man. These hairstyles for men with rounded faces will allow any man to feel more confident and self-assured. Experiment with each option until you find the right style that is suitable for your round shaped face. If you have any suggestions please tell me about it and I’ll add it to this list. And if you find this guide useful please share it with your friends and family through social media.